Cooking classes are a great option for so many reasons. Maybe you are coming to London on holiday and you are looking for your next culinary adventure. Maybe you already live here, and you just want something fun to do on the weekend with your date (or boyfriend, or husband, or girlfriend, or wife…). Or maybe you are already a fairly skilled cook, but you are still looking to learn something new…There are many cookery schools in London and the choice is not easy, which is why we had a look at our extensive portfolio of partners to bring you the 5 best, most interesting culinary teachers you should be looking to learn from. The Avenue Cookery School is a family-run school based in Wandsworth (South West London). The owner and head chef Diana began her career as a chalet chef before discovering her entrepreneurial side and founding a number of specialist food ventures. Infamously, Diana taught at The Grange Cookery School in Somerset for 7 years before starting The Avenue, where she has been ever since. The food at The Avenue can be considered classic chic but full of fun twists and turns (ranging from macaroon masterclasses to gluten free baking to simple supper classes). All the classes are taught in the school’s beautiful kitchen facilities in a relaxed environment. The Avenue is renowned for its’ teaching of youngsters (offering Duke of Edinburgh and Challet Host cooking courses, amongst others), as well as for its’ supper classes, where every evening you learn a new dish you can cook for dinner. 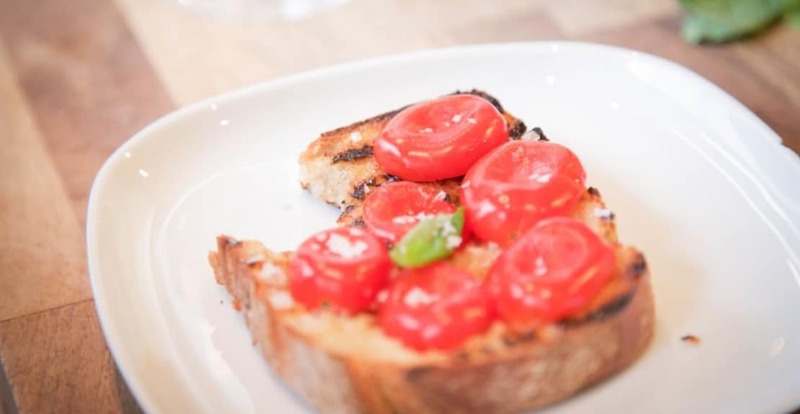 The Enrica Rocca Cookery School is situated in Notting Hill and teaches you to serve up a bit of Italy on a plate. Having grown up surrounded by food, made using only the best and freshest ingredients, it’s little wonder that Enrica’s daughters have stepped forward to continue in her footsteps. Claire and Charlotte are an enthusiastic duo, passionate about the food they cook. There are two classes on offer, one which gets you out and about shopping together on Portobello Market before using the ingredients in the kitchen. Thursday evenings class has you meeting straight at the kitchen to cook up an Italian Feast. In each class you will prepare up to 10 dishes, including antipasti starters, a traditional pasta or risotto dish and a fresh meat or fish main course. Don’t worry if that sounds like an overwhelming amount to remember – every recipe will be provided electronically after the course. Whether you are vegetarian, vegan, or just want to spice things up in the kitchen – London Vegetarian School has you covered. Located by London Bridge, this boutique culinary school offers the classes and courses that traditional cooking schools won’t. All classes are taught in small sizes so that you get loads of help and advice throughout. London Vegetarian School is all about service and experience, and it shows. The equipment is top-notch and after your daily cooking-workout you are invited to come and hang-out in “the Peacock room”, where you can enjoy your tasty food over some Baroque music and a drink (and feel free to invite your friends along too). Whether you are looking to sharpen your skills, learn the latest cooking methods or get the foundations right, The Wyld Cookery School will take care of you with fun, hands-on cooking classes. Boring teaching equals bored students and no-one wants that – Wyld is serious about teaching you the best practices but also serious about having fun whilst doing so. Nidhi of ‘Meri Rasoi’ cookery school will teach you to cook authentic, healthy, delicious Indian food using simple and traditional techniques that are used every day in Indian kitchens. ‘Rasoi’ is a traditional Indian kitchen where simple but delicious food is cooked using recipes handed down and perfected through generations. Nidhi’s classes are fun, interactive and open to complete beginners as well as serious food enthusiasts and will give you an opportunity to learn not only how to cook delicious home cooked Indian food but also to use spices confidently.